Florida is a very popular destination and I'm almost fascinated by the beauty of the country again. Each area has its own special charm. Because I prefer areas far away from overcrowded tourist areas, I mainly present photographs on this side, which I took in very natural regions of Florida. 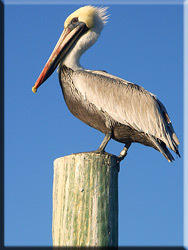 You will find pictures of alligators, bald eagles, manatees, pelicans and many other animals on this site. The country, with approximately 170,000 square kilometres and 17 million inhabitants has much more attractions than hotels at palm beaches and leisure Parks. 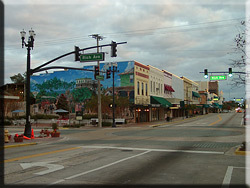 Information about Miami, Fort Lauderdale, Key West and Disney World is already presented on many websites. 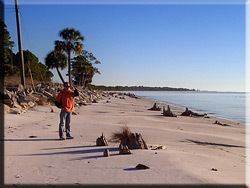 Travel virtually through the natural and original Florida and enjoy it! If you just intend to spend a holiday on the North Sea, I can recommend the beautiful "Nordseehaus Tidenkieker"
Approximately 20% of Florida is water. 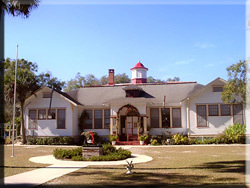 The west coast with its numerous beaches on the Gulf of Mexico has many interesting areas. The Atlantic coast in the east of the country is quiet different and also impressive. 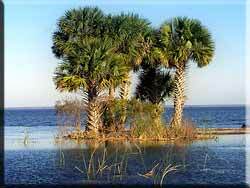 Many lakes in Central Florida (Lake County) and rivers such as St. Johns River, Suwannee River and Apalachicola have a remarkable flora and fauna. Floridas wildlife has a great biodiversity. Pelicans, manatees, eagles, alligators and many other animals can be seen with a little luck and patience. 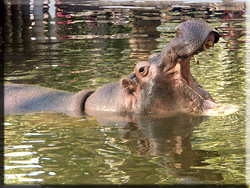 A visit to Bush Gardens, Monkey Jungle, Sunken Gardens, Homosassa Springs, or any of the many other zoos is worthwhile. Here you can see native species and also al lot of others. 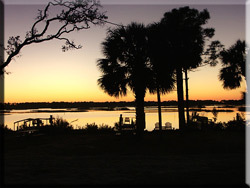 The Gulf of Mexico is famous for its beautiful sunsets. order to enjoy that, it's not necessary to drive far south to Key West! The ever-changing landscape makes a trip through Florida very interesting. You always get new impressions. A very special experience is a trip on the water. 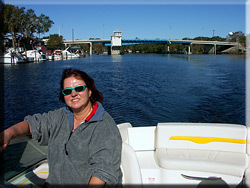 Without an official driving licence, you can rent a boat just for a day or weekly at one of the numerous Boat-Rentals. 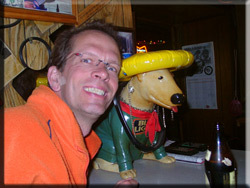 This is much fun and you can get wild animals close to the lens of your camera! There are not so many spectacular building in Florida. Nevertheless, when you keep you eyes open, you will see some interesting buildings or lighthouses. Kitsch or art - this is not always clear. In Florida, there are many curiosities. Of course, this is just a matter of loving it or not - but somehow it all fits to the country!